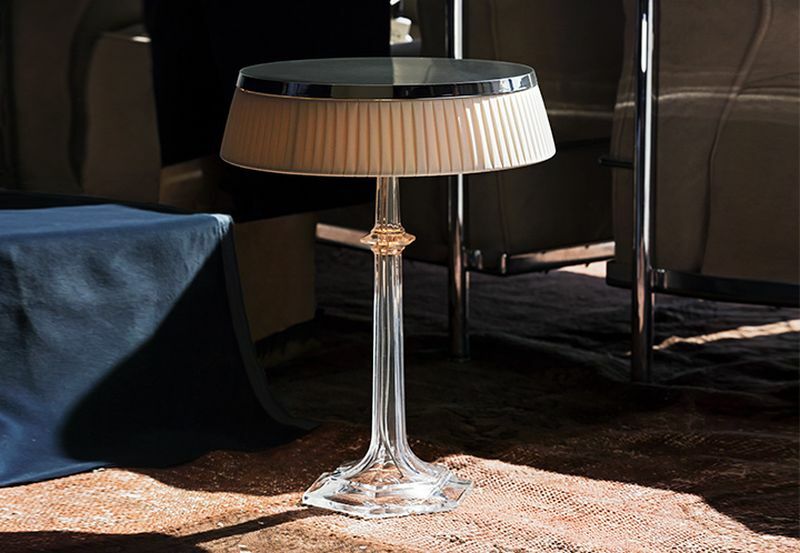 Italian company Flos and Baccarat launched the Bon Jour Versailles collection of glass table lamps at the Salone del Mobile last year. 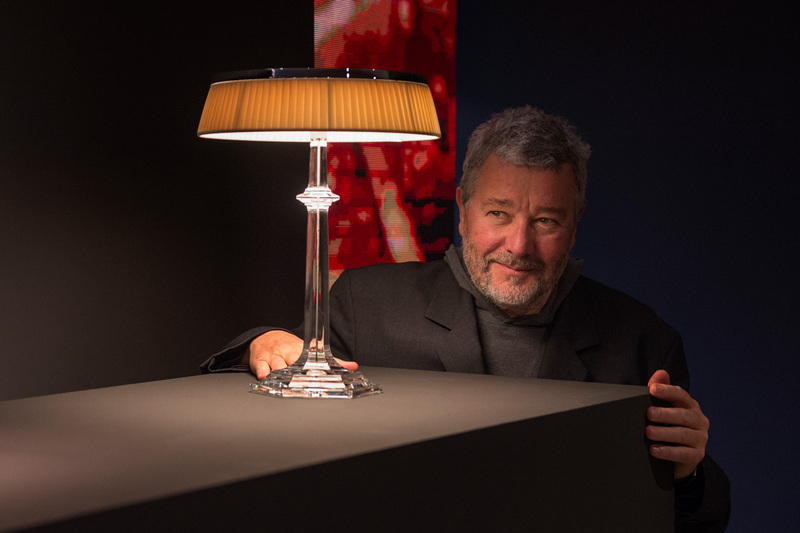 Created in collaboration with the veteran designer Philippe Starck, these lamps are successor to one of his earlier creations. The classic and sophisticated shaped lines, coupled with innovative lighting technology make them table lamps worth drooling over. At the Palace of Versailles, the Sun King was bored. One day he had the vision of a flash, a new and magical light, different from its solar glow, which illuminated the Salone degli Specchi. He dreamed it and made it his coat of arms. 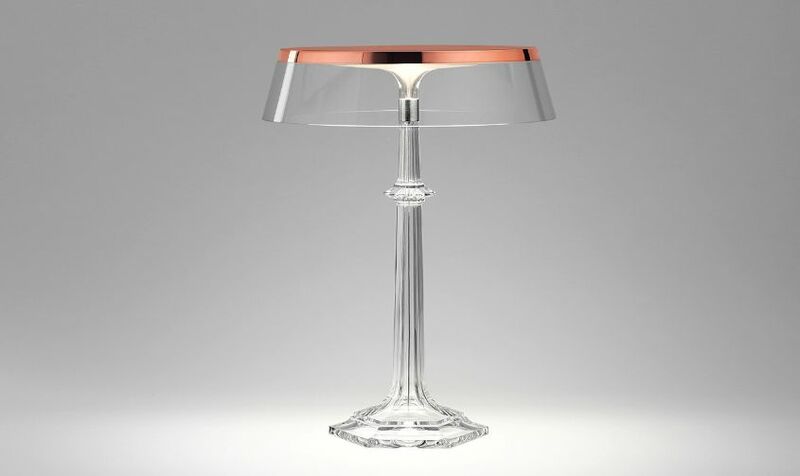 A few centuries later, Flos and Baccarat made it a reality, combining the highest technology with their timeless know-how. 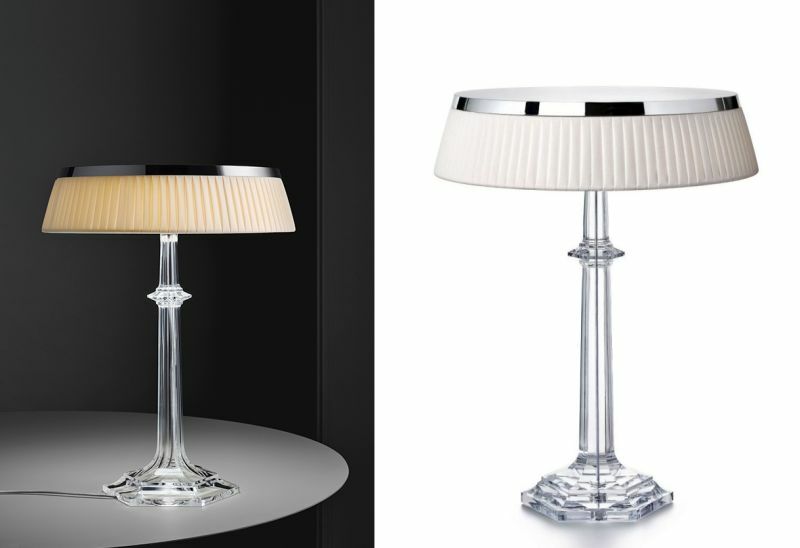 The Bon Jour Versailles lamp consists of a finely sculpted transparent crystal or polymethacrylate base topped with chrome plate for a thumping impression. It uses innovative LED Edge Lighting technology to offer diffused light through an elegant shade in pleated fabric. Each table lamp comes with a power cord with a dimmer switch that can be used for ON/OFF functions and light adjustment. 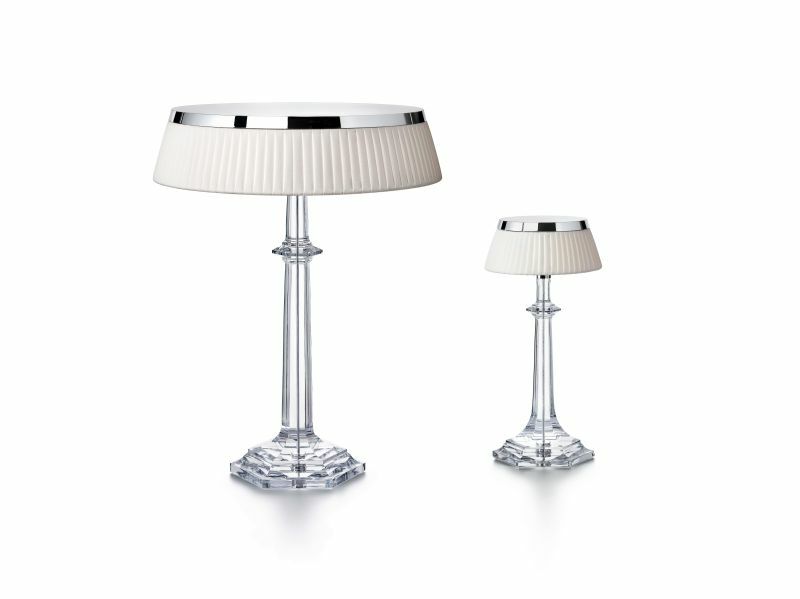 These designer tapered column table lamps in glass, crowned with an electroplated top cover in ABS can make a dramatic statement in any kind of home interiors. 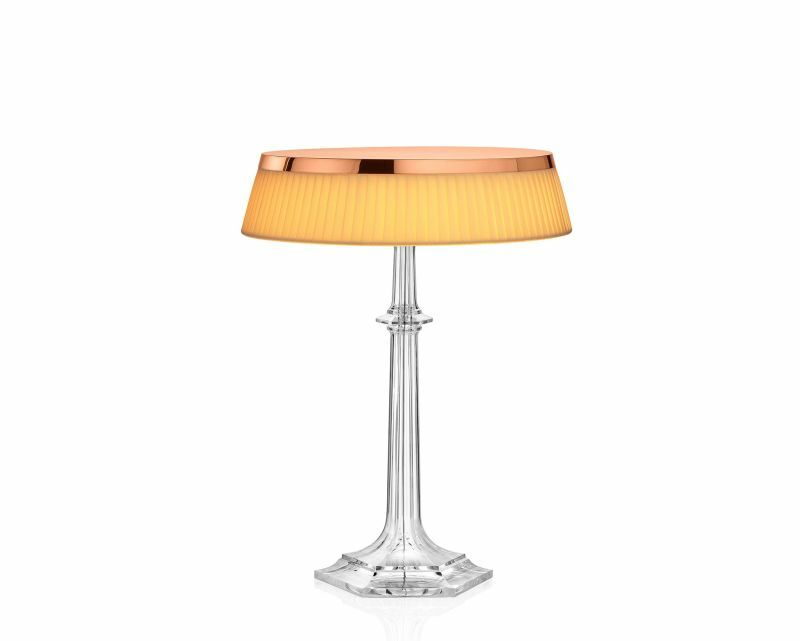 Available in two dimensions and versions, you can now purchase Bon Jour Versailles lamps from Flos flagship stores and selected retailers.